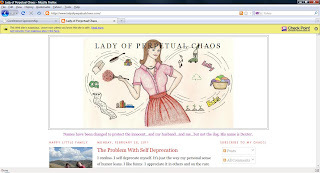 Lady of Perpetual Chaos: It's Official! I am a dot com. And I come with a warning label. Awesome. Yay! Also? Hahaha! at the warning label. You crack me up! 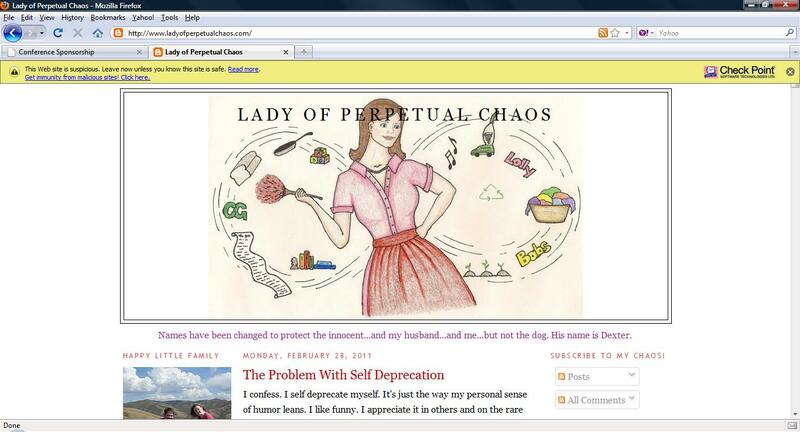 Is your blog suspiciously malicious, or maliciously supicious? We should all come with warning labels. We are women. Love the DOT COM! Ooh-what does one have to do to get a warning label? Awesome. Hey lady, just wanted to check in and make sure you're coming tomorrow to wedding set-up. If you can, check your email and get back to me. Thanks!